Digital payments and online banking are gaining traction in the Philippines as revealed by the Kaspersky Cybersecurity Index. The research by Kaspersky Lab done during the second half of 2016 revealed a great majority of Filipinos use the internet for online shopping (90%), for accessing online payment systems and digital wallets (89%), and for online banking (74%). Based on an online survey of thousands of internet users around the world, the index represents the adult online population according to age and gender in every country of the study. During last year’s second half, the global cybersecurity company surveyed 17,337 internet users from 28 countries around the world including 491 netizens from the Philippines. A recent study from the digital payment company PayPal also attested that the Philippines is well on its way in achieving a cashless economy as 25% of the surveyed Filipinos are now choosing to transact through the internet. The Alibaba founder and tech giant billionaire Jack Ma even called out for investors to make the country a cashless society during his recent visit to the Philippines. But aside from infrastructure and internet-related hurdles currently hindering the achievement of a fully cashless economy, are Filipino consumers ready for the cybersecurity risks that will come with the bumpy road of transacting money online? Citing the same Kaspersky Lab report, Kaspersky Lab Southeast Asia’s General Manager Sylvia Ng highlighted Filipinos’ lack of concern towards their online security and the real threats of cyberattacks. “Data from our very own Kaspersky Cybersecurity Index for the second half of 2016 showed that more than half or 52% of Filipinos are still unconcerned about their online security. Filipinos still do not believe that they can become targets of cybercrimes which is completely false. In fact, 52% of the respondents of the same survey also admitted to being hacked or infected with malware last year,” says Ng. “Before Filipinos dive headfirst into the convenience of digital financial transactions, they should remember that cybercriminals are almost always after money. Having your cash available online is like placing a bait to entice them more. It is a must to be aware of the risks and to possess the proper protections to combat the dangers that will come along the road towards becoming a cashless society,” she continues. When you’re visiting a web page that needs you to enter confidential data, carefully check that the address of the page that’s shown on the browser corresponds with the page that you were intending to access. If the URL is made up of a random selection of letters and numbers — or it looks suspicious — do not input any information. Make sure that you use an encrypted connection, whenever you need to input any confidential data. If a connection is secure, the URL will start with the letters ‘https’ — in addition, the address bar or the browser’s status bar will display a small icon of a lock. When you click on the lock icon, look closely at the information about the SSL authentication certificate that has been issued to the site (you’ll be able to note when the certificate was issued, who issued it and for what period the certificate was issued). Try to avoid using public computers — in Internet cafes, airports, clubs, hotels, libraries or other locations — when you need to access online banking services or online retailers. These public computers may have a variety of spyware programs running on them. If so, these malicious programs could record everything you type on the keyboard — including your passwords — and also intercept Internet traffic. 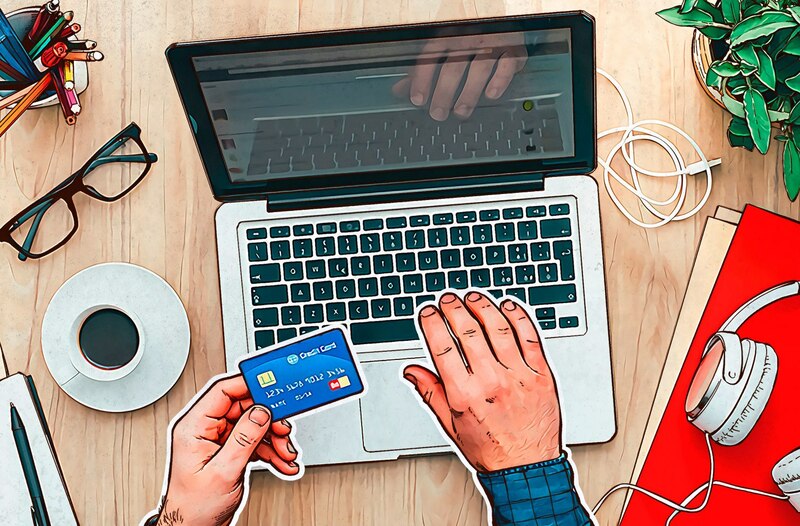 Even if you use your own computer for online transactions, you need to avoid connecting to the Internet via a public Wi-Fi network. On a public Wi-Fi network, there is a risk that the traffic might be intercepted by the network’s administrator or by cybercriminals — and attacks might be launched with network worms. In fact, Kaspersky Lab offers its Secure Connection App for iOS and Android devices for download in the App Store and Play Store. You might benefit from having a special card that you only use for online purchases. It may be possible to restrict the credit limit for your ‘online credit card’ or to hold a limited amount of money on your ‘online debit card’. Before making a purchase online, try to read customer reviews about that specific retailer. It can be a good idea to avoid buying from retailers that have websites that are registered with free hosting services. If you have any doubts or suspicions about a retailer’s website, use a ‘WhoIs’ IP service in order to find out more information about the domain — including how long it has been in use and who owns it. Note the period of time for which the domain has been paid. Always ensure that the operating system — and all applications — on your computer and other devices have the latest updates installed. This will help to eliminate operating system and application vulnerabilities that can be exploited by malicious software programs and attacks. Windows OS products are often targets of vulnerabilities so be sure you're secure whether you are running the newest OS , XP, or Windows 7 - security is essential. For additional security, instead of just running a standard firewall, you may choose to run application and software-based firewalls. A rigorous anti-malware solution like Kaspersky Internet Security can protect you against computer viruses, worms, Trojan viruses and more. Some anti-malware products also include special technologies that provide additional layers of security when you’re using online shopping and banking websites.